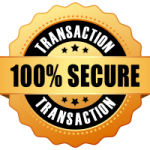 CTRAC is quick and easy to use. 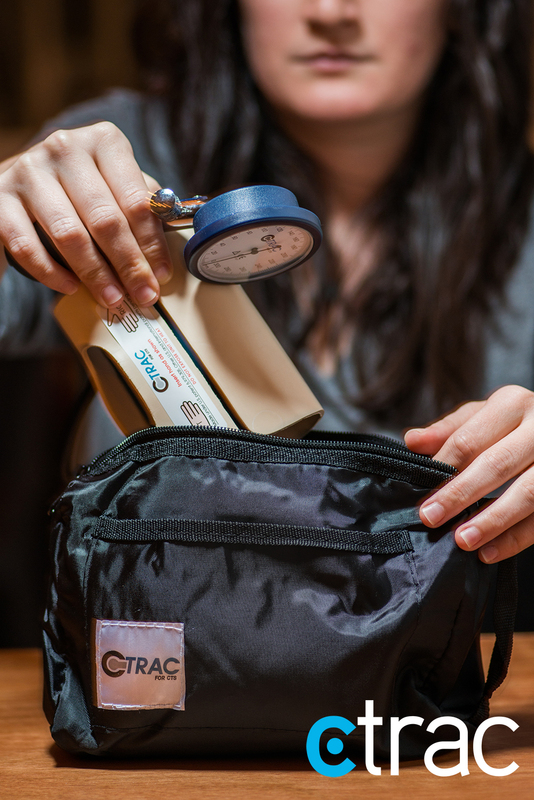 Place the CTRAC device on your hand as shown in the picture here. Inflate the device for two minutes to the instructed stretching force. Repeat these steps two more times each day (for a total of 3 times per day) for four to six weeks. The research-proven treatment time is four to six weeks. You may feel relief as quickly as one week or less. 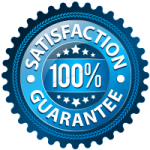 We recommend you continue the treatment for the full six weeks even if you do feel improvement. Once the symptoms are gone, Ctrac can be used on a monthly basis to maintain the stretched ligaments. NOTE: Do not use Ctrac if you’ve had carpal tunnel release surgery, have had a hand fracture or dislocation, hand deformity or osteoporosis. (If you don’t know if you have any of the above, contact your physician prior to purchase.) This website does not attempt to diagnose conditions of the hands.  It is extremely important you consult your physician prior to trying or using CTRAC or any medical device, medication, treatment or product. 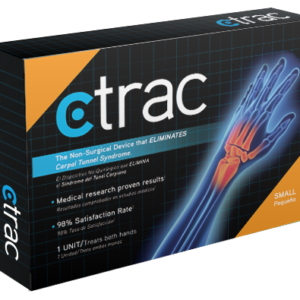 CTRAC is an FDA cleared medical device that offers a non-surgical treatment option for Carpal Tunnel Syndrome (CTS). SKU: N/A. Category: Uncategorized. Tags: carpal, ctrac, non-surgical, syndrome, treatment, tunnel. 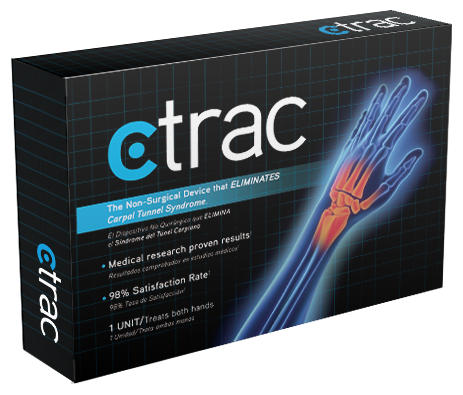 C-TRAC works by stretching the carpal ligament avoiding the need of surgical correction. 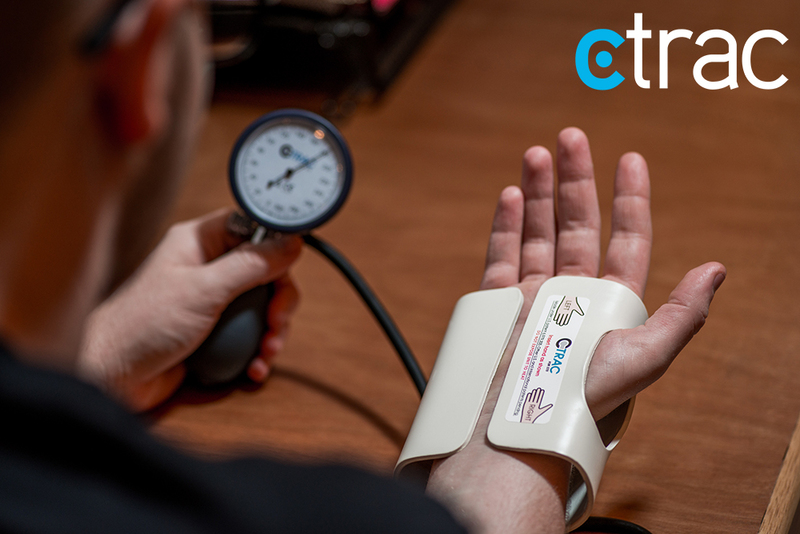 C TRAC works on both hands, you do not need to buy one for your right hand and another for your left. The therapy takes 5 minutes, 3 times a day, for 4-6 weeks. Carpal Tunnel Syndrome patients do not need to use this wrist treatment while working or sleeping. Many physicians are recommending their patients to use this treatment before considering surgery.